"It's time to stop hiding from the truth." Set in Connecticut in the 1950s, this film is about a housewife who has it all until one day she does something to mess it all up. "Far from Heave" has it all - crumbling personal life, lies, secrets and an inter-racial relationship, which was frowned upon during the 1950s. 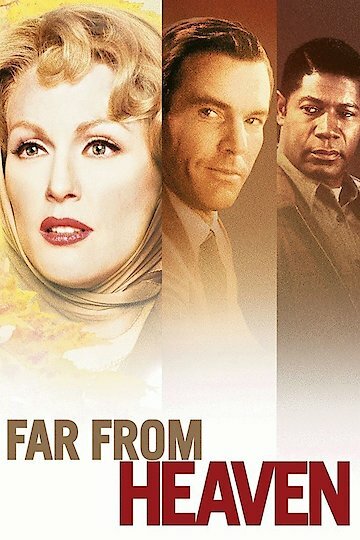 Far from Heaven is currently available to watch and stream, buy on demand at Amazon, Vudu, Google Play, iTunes, YouTube VOD online.